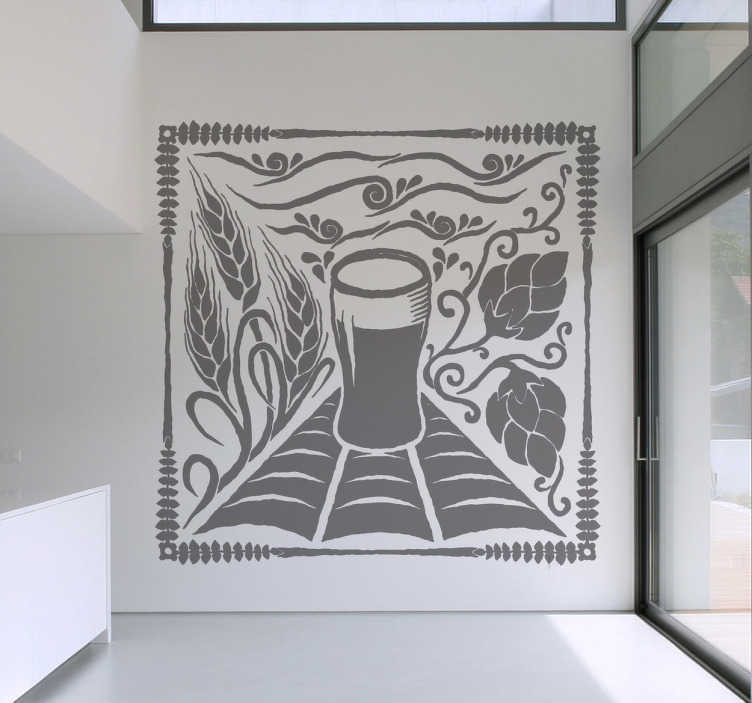 Wall Stickers - Monochrome illustration inspired by the origins and ingredients of beer. Ideal for businesses. Available in various sizes and in 50 colours.